Once every two minutes, someone dies from sudden cardiac arrest. It can strike anyone at anytime. Often, there is no previous history of heart trouble. Here's an excellent example. The chance of surviving an out of hospital sudden cardiac arrest is less than 5%. 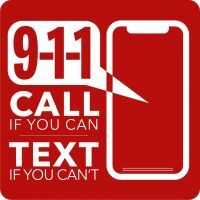 If an automated external defibrillator (AED) is applied to the patient within the first two minutes of the arrest, the chance of survival can be as high as 80%. Anyone, trained or untrained, can use an AED. Are you curious about what steps to take to implement an AED program at your workplace? 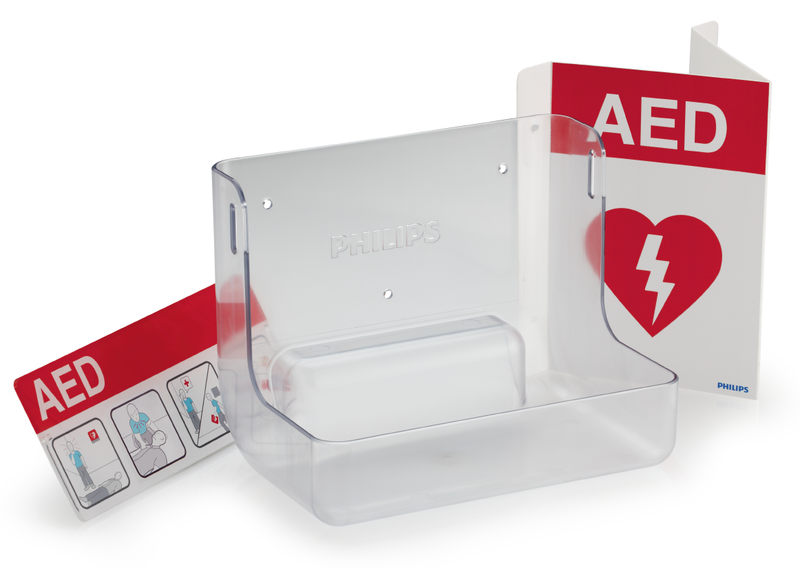 Visit our Philips AED Program Checklist for more information. Visit our AED FAQ for common questions concerning AED use. Integrated coaching walks you through all the steps of CPR. Philips AEDs perform the most comprehensive self-tests on the market with more than 85 daily, weekly, and monthly checks to verify pad readiness, functionality, and calibration of circuits and systems. 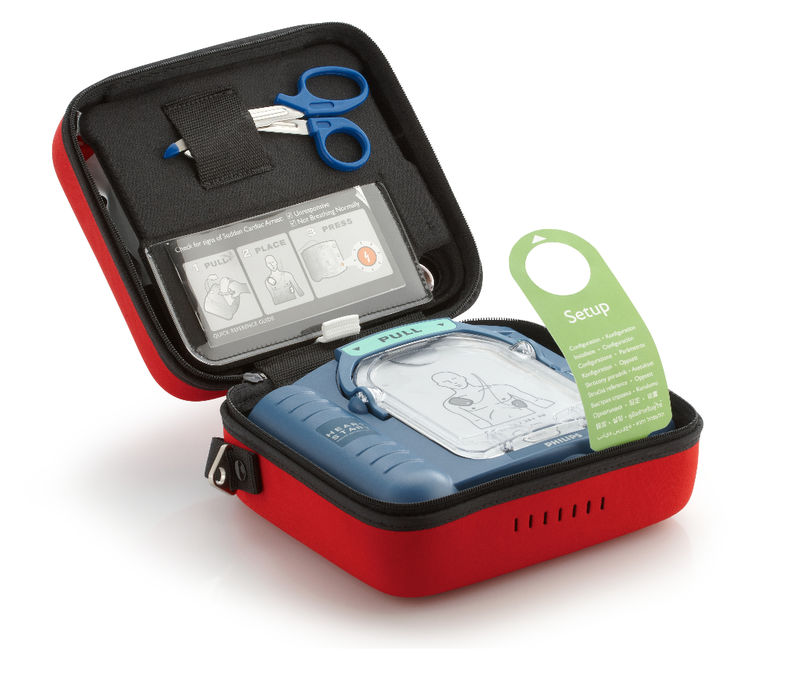 Philips AEDs can be converted into a temporary AED training unit with the purchase of special pads. Patented Quick Shock technology administers a shock in 8 seconds. SMART pads sense when they have been removed from the cartridge, peeled from the liners, and applied to the patient and adjusts the voice prompts accordingly. Philips AEDs use patented SMART Biphasic Impedance Compensation technology to deliver the right amount of current and energy to the patient. The Philips Onsite is designed with community responders in mind who might have never used an AED before. Its ease-of-use was unsurpassed in four different published studies. In addition, it is the only AED approved by the FDA to be purchased without a prescription. *Standard carry case can accomodate spare pads. Slim carry case available for a $66 discount. **The American Heart Association recommends investing in a spare set of pads. In an emergency, if AED pads are dropped on a plush carpet, or dusty ground, they may no longer adhere to the patient. Having a spare set of pads ensures that you can use your AED unit in the event the first set is compromised. **Pediatric pads (Onsite), or a pediatric key (FRx) allow you to use your AED on children between the ages of 1-8 years old or under 55 lbs. Adult pads can be used on a child but pediatric pads will deliver a shock that is adjusted for the smaller size of the child. Why Purchase from CPR Seattle? Free Prep Kit (includes: emergency shears, razor, CPR pocket mask, non-latex gloves, and an absorbent cloth). 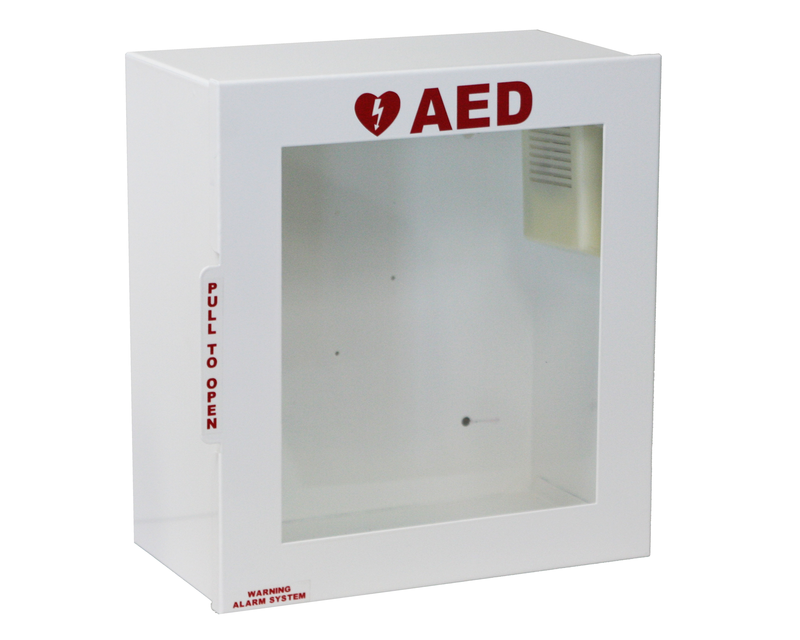 Free Shipping: If requested, we will ship your AED unit directly to you at no extra charge. Optional AED Hand-delivery and Protocol Review Session: We are happy to come to your location to deliver and set up the AED unit, and review AED registration procedures and protocol (this service is available for the greater Seattle area). 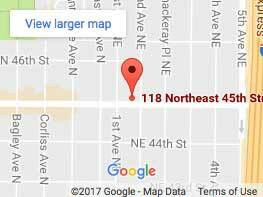 Free AED tracking of expiration/replacement dates through the online CPR Seattle AED tracking system. Reminder emails from CPR Seattle when pads and/or battery are due to expire. 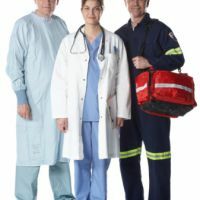 Not only will CPR Seattle provide you with your full customer service needs when it comes to setting up and maintaining your AED unit we will also consider matching any lower advertised prices you may find. Please do not hesitate to call us if you have any further questions - we are happy to help you through the process of purchasing this lifesaving piece of technology! Please contact us for more information or purchasing options.